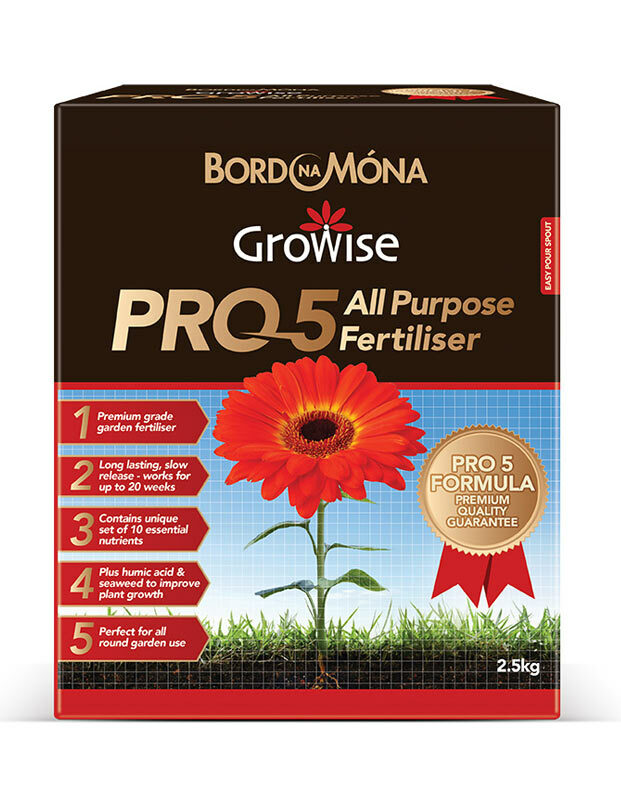 Bord Na Móna Growise Pro 5 All Purpose Fertiliser contains 10 essential plant nutrients as well as seaweed and humic acid. 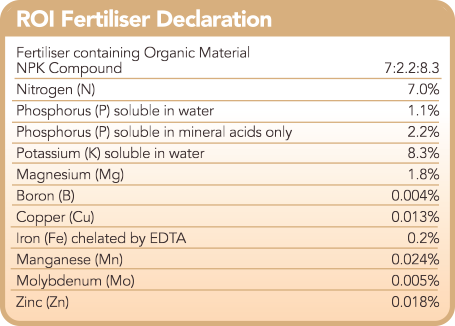 It includes all major, secondary ad trace nutrients needed for strong, healthy plants. 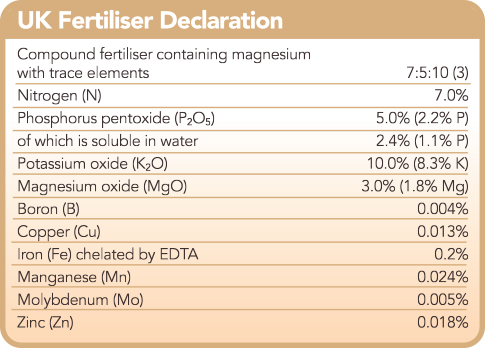 Our unique formula means that a single application will last for up to twenty weeks and includes a combination of three different nitrogen sources that feed plants throughout the season. Also contains plants and soil boosting seaweed and humic acids to promote healthy soils and strong plant growth. 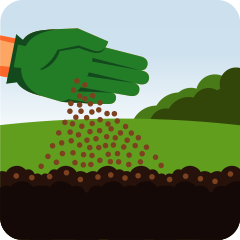 Evenly spread across the soil, gently raking or forking into the surface layer. 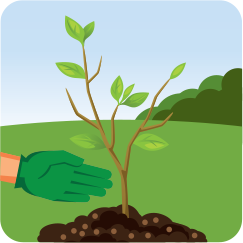 Scatter around the base of plants, avoiding direct contact with leaves and stems. One application should be sufficient for season-long feeding. 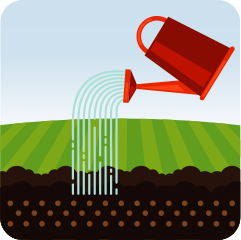 Second applications are only required for vigorous growing plants and greedy crops. WARNING: Causes skin irritation. Causes serious eye irritation. harmful to aquatic life with long lasting effects. Wear protective gloves / protective clothing / eye protection/face protection. If on skin: wash with plenty of water. If in eyes: rinse cautiously with water for several minutes, remove contact lenses. If present and easy to do, continue rinsing. If eye irritation persists, get medical advice / attention. If skin irritation occurs, get medical advice / attention. Dispose of contents / container in accordance with national regulations.